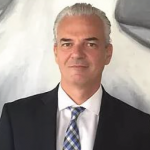 Panagiotis Drakopoulos is the founder and senior partner of Drakopoulos Law Firm, a regional firm offering legal services in 11 countries across SEE. He has over 20 years of experience in advising corporations, management, institutions and entrepreneurs on both domestic and cross border transactions. He specializes in various areas of corporate activity, including M&A, partnership structures, private equity, venture capital and joint ventures assisting private and institutional investors to invest in the SEE region. Panagiotis has an extensive track record in domestic and international transactions as evidenced by various international publications and rankings. He has personally handled a vast number of multi-million dollar deals representing multi-national and domestic clients. Key strengths include handling complex matters involving multiple disciplines and decision-making in a fast-paced environment.